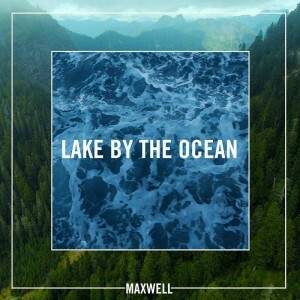 • Maxwell is back with new music, on Monday releasing his new single ‘Lake By The Ocean’. It’s the first taste of the US soul star’s new album ‘Blacksummers’ Night’, his first album in seven years and the second release in a trilogy, which began with his 2009 album of the same name. Australians will be able to get their mitts on the new LP when it’s released on Friday July 01. • Among the new singles doing the rounds at Australian media this week are (as suspected) the new Jennifer Lopez single ‘Ain’t Your Mama’, ‘Lay You Down Easy’ – the new single from Magic!, Roxette’s ‘It Just Happens’, Trove Sivan’s ‘Talk Me Down’ and the new Galantic single ‘No Money’. Check our FACEBOOK page tomorrow for a more comprehensive list of those songs battling it out for space on the Aussie airwaves. • Sydney’s iconic Allphones Arena has undergone a name change. Originally known as the Sydney Super Dome, the venue has also been known as Acer Arena over the years, and has operated as Allphones Arena since September 2011. But as of two days ago, Qudos Bank has acquired the naming rights in a multi-year deal. All acts currently in our auspOp Diary have been amended to display the venue’s new name, Qudos Bank Arena. • James Reyne and Mark Seymour are joining forces for a co-headlining tour throughout July, August and September. 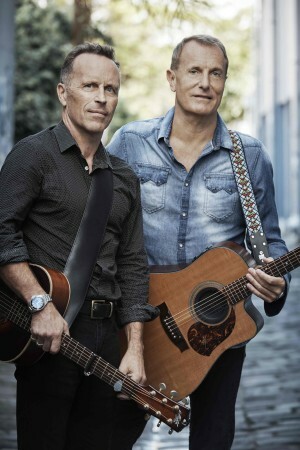 The ‘And The Rest Is History’ tour will swing through all five main capitals, along with Hobart, Wollongong, Penrith, Tweed Heads, Launceston, Castle Hill and Wentworthville, delivering fan favourites from the Hunters & Collectors and Australian Crawl back catalogues, as well as the boys’ solo hits. Tickets are on sale now. • Boom Crash Opera is moving on with their new lead vocalist Andrew De Silva, following the departure of long time frontman Dale Ryder last year, confirming that they’ll hit the road for a selection of live dates in Southern New South Wales and Victoria in June and July. They’ll play the SS&A Club in Albury on June 03, the Mulwala Ski Club on June 04, Warrnambool’s Whalers Hotel on June 11, Geelong’s Workers Club on July 02 and the Caravan Music Club in Oakleigh on July 23. Tickets are on sale now. • ‘Nashville’ actress Clare Bowen will return home to Australia next month for four special shows across Australia’s East Coast. She’ll be performing some of her original pieces, along with covers of songs featured on the hit TV series, which screens on subscription TV services here. Clare will play Melbourne’s Corner Hotel on May 25, Sydney’s Oxford Art Factory on May 26, Anita’s Theatre in Thirroul on May 27 and The Triffid in Brisbane on May 30. Tickets are on sale from 10am local time this Friday.